Ottawa, Ontario– November 19, 2018– It was the natural next step. 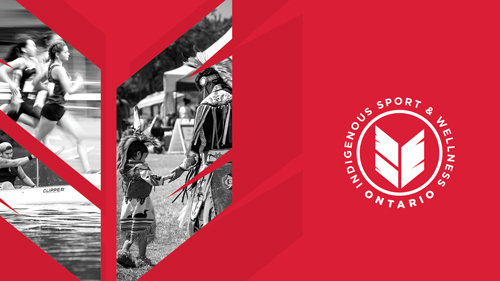 Indigenous Sport & Wellness Ontario – ISWO (formerly known as the Aboriginal Sport and Wellness Council of Ontario) has launched a new and exciting brand to symbolize the rapid growth of the organization and its mission to deliver opportunities to the more than 350,000 Indigenous People in the province. Three distinct parts of the feather within the logo signifies the diversity within First Nations, Métis and Inuit communities. The feather also represents the three pillars of ISWO: Sport, Leadership, and Community. The circle highlights the ISWO value of equality, believing that we all share an equal voice. As the recognized governing body for competition at the North American Indigenous Games and governance through the Aboriginal Sport Circle, the new ISWO colours align with Team Ontario uniforms and the #Team88 Legacy campaign initiated at the Toronto 2017 North American Indigenous Games. Renowned Indigenous creative agency The Jensen Group, who built the brand platform for the Toronto 2017 North American Indigenous Games and the 2018 Masters Indigenous Games, was tasked with developing a new brand for the governing body. The official launch of the new brand was made by ISWO on Monday at the National Arts Centre in Ottawa as part of an exciting series of historic announcements including a five-year media partnership with the Canadian Broadcasting Corporation (CBC) and a multi-year event hosting and wellness programming initiative with the Algonquins of Pikwakanagan First Nation, the City of Ottawa and Ottawa Tourism. ISWO serves all Indigenous Peoples and communities across the province of Ontario, including First Nations, Inuit and Métis, living on and off-reserve, in rural and urban settings, and 29 Friendship centres, encompassing more than 300,000 Indigenous Peoples across Ontario.